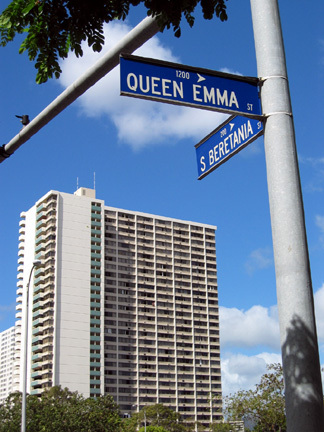 Queen Emma was the wife of King Kamehameha IV. Miss Emma is my niece. As far as I know they are not related.